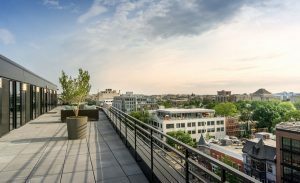 Welcome to The Harper apartments, located in one of the liveliest neighborhood in Washington, DC. With a multitude of restaurants, stores, and transportation options right outside your door, The Harper offers luxury and comfortably priced 14th Street apartments. 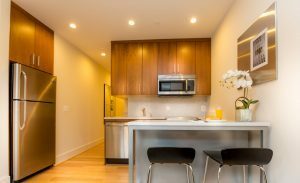 Smart design, a fantastic location, and competitive prices make our new studio, junior-one bedroom, and one-bedroom options in Washington D.C. an obvious choice. 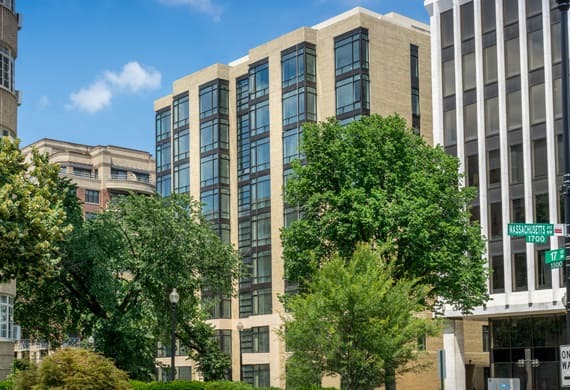 Featuring floor-to-ceiling windows, red oak wood floors, stainless steel appliances, and a host of green amenities, these Washington D.C. apartments offer luxury and comfort in every nook and cranny. Here you can relax in the comfort of your own apartment or enjoy the many community features that come with our luxury apartments on 14th Street—hang out on the rooftop lounge or dining room, work out at the gym, or get some work done in the modern business center. Ready to settle in at your next home? 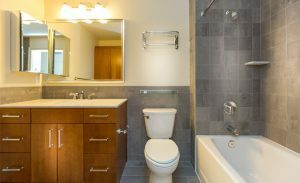 Scroll down to find available studio, junior 1-bedroom, and 1-bedroom apartments for rent. Every step of the way - from moving in to moving out - Jason and the staff at the Harper were as helpful as you could possibly ask for. I had a wonderful experience staying there and couldn't recommend the building any more. Everyone that works at the building cares about their job and will take care of you. The location cannot be beat and the rooms themselves are incredibly comfortable. Metro right around the corner (not that you will ever leave the area). The only reason I left is because I moved from DC. Lived in the building for over a year. The building is great. The management is great. I only left because I moved to a new city. I miss it already! I absolutely love living in this building. I have a lot of good things to say! 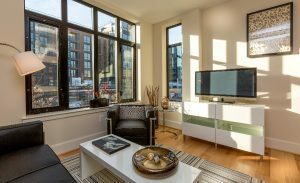 The Apartments: I literally toured and analyzed about 15-20 different apartment complexes in the Logan Circle/14th street/U street/Shaw area. The Harper was our favorite in terms of price point, location, building features. The apartments are smaller and narrow (You're paying to live in this prime location) but they are designed to provide you max amount of storage space. Also a major thing I've noticed since living here - YOU CAN'T HEAR YOUR NEIGHBORS AT ALL. The apartments are sound proof which I've never experienced before. I don't hear any noise at all ,ever, from any neighbors unless they are in the hallway! It's amazing. I have nothing but great things to say about The Harper. I have been living here since October 2016. It is by far the best high end apartment building in the area. 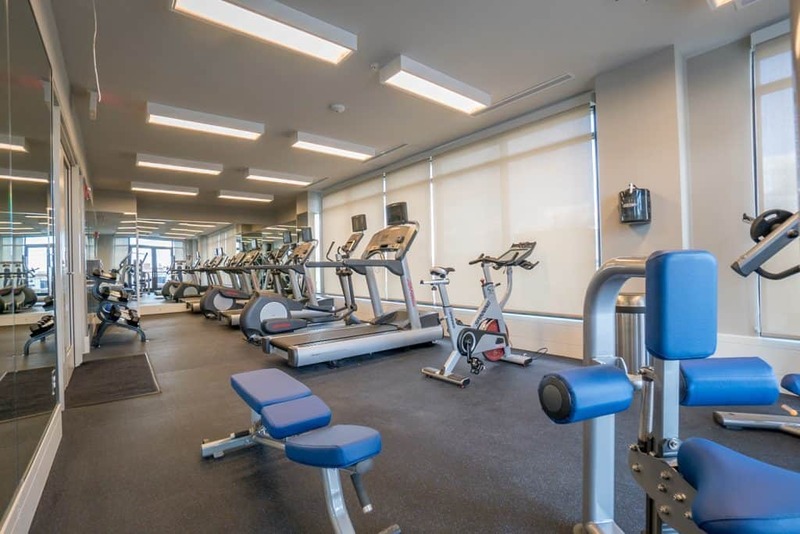 The staff is unbelievably friendly and helpful (any maintenance requests - and there aren't many because the building is well constructed - are frequently handled same day); the residents are friendly and respectful of each other; there are no hidden fees or costs - everything is included except for cable/internet unlike A LOT of buildings in this area; there is an awesome fitness center on the top floor with floor to ceiling windows (most places have gyms in the basement or no gym at all); the location is unbeatable in terms of proximity to everything you need-- groceries (Trader Joe's is across the street), restaurants, shopping, dry cleaners, and the subway. Jason is fantastic and does a great job of fostering a sense of community among residents. If I could give the Harper more than five stars I would! I'm a current resident at The Harper and I love living here. Management is always helpful and responsive. Jason is always a pleasure to speak to and always willing to help. All of the building staff (front staff, maintenance, admin, etc) are always friendly and welcoming. Location can't be beat and great amenities. One of my favorite homes thus far! I've been living at the Harper for 4 months now and this has been a really great place so far. I love my junior one bedroom apartment. It is very well designed with a lot of storage and perfect equipment. This is the 3rd place I rent in DC and it is clearly outstanding compare to other "luxury" apartments I have lived in before. The rooftop is fabulous and I also like the view from the gym (located at the same level). This completely changes my jogging experience compare to basement gyms from most buildings. Of course, you cannot beat the location, it is at the center of everything and I really love the city atmosphere of the 14th/U ST neighborhood. Lived here for a little over a year and only had great experiences! Management is very professional, helpful, and responsive. The building was always very clean and safe, security is at the desk 24/7. My transition both in and out of The Harper were smooth, which is when I've had issues in the past with other buildings. The location is unbeatable, the amenities are fantastic, and the rooftop view of the city is gorgeous. Great apartments in amazing location. From the beginning of our leasing period until the very end, staff, such as Jason, were incredibly friendly, attentive, and respectful. We moved into another apartment in the same area just because we're hoping to get a pet; otherwise, the prices are competitive for the area, utilities are included (which is unheard of in other luxury apartments we looked at/at the place where we currently reside), and the community is lively. People are really friendly and it's full of young professionals who are excited to invite you to any events they host in the beautiful rooftop/penthouse area. Just a few cons, though: the community, while lively, can get a little loud at night when entering/exiting the elevators (which were right outside our unit). The walls shield noise from apartment to apartment, but the doors are a little permeable. More pros: always kept clean, very professional front desk security guards who greet every visitor and ensure they name who they're there for, incredibly accessible location and you can't beat the Trader Joe's across the street and Whole Foods just a few blocks away. I never had to wait more than a day to get a maintenance request fulfilled and properly handled. Overall an amazing place to live and I'd recommend it to anyone.